I’ve got another episode for you. You’ll have to excuse me because I made a pretty bad technical error when setting up the recording. What was the mistake? The track that held my voice got dropped somehow. For the most part, I asked questions to get thoughts shared and I’d say a very good majority of the episode is in tact though. You’ll catch the edits in the middle as to keep the flow going without causing too much confusion. So thanks for sticking with it and I’m sure you’ll enjoy it. I want everyone to meet, if you haven’t already met him , Andrew Smith of Revolution BJJ in Richmond VA. 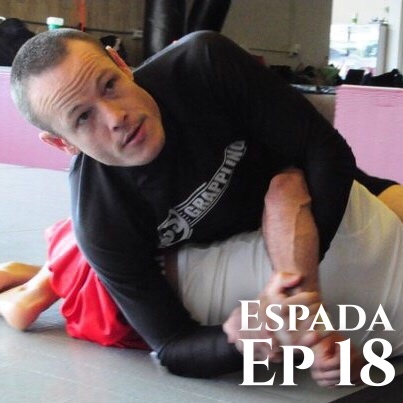 When we first were introduced, we started talking about competitions and how he went from being an extremely active competitor to evolving his martial arts practice. Listen in on how that happened.